The Constitution does not reflect contemporary knowledge of the importance and role of the environment as the basis of enduring social and economic wellbeing. It most serious flaw and oversight is that it permits the alienation of the Nation’s natural resources by the current generation of the people of Ireland by actions of the organs of the State against the interest of the common good of generations to come of the people of Ireland. It is extremely unlikely that the drafters of the Constitution supported the seriously depletion, degradation or permanently alienation i.e. sold to third parties of the nation’s natural resources to benefit only one generation of Irish people. They lived in a time when resources appeared bountiful and whose use was severely constrained by the technologies of the day. This is not the world we now inhabit where the forces of technological change and financial power have overcome all obstacles to exploit both non-renewable and renewable natural resources. Only the will of the people working through their democratic institutions can stand in the way of their capture by local or foreign elites. It is vital that the value of our natural resources – our commons – is retained in our ownership and permanently protected in the Constitution to provide for the well being of future generations of Irish people. All natural resources, including the air and all forms of potential energy, within the jurisdiction of the Parliament and Government established by this Constitution and all royalties and franchises within that jurisdiction are held in Trust for the people of Ireland by the Statesubject to all estates and interests therein for the time being lawfully vested in any person or body. All land and all mines, minerals and waters which belonged to Saorstát Éireann immediately before the coming into operation of this Constitution jurisdiction are held in Trust for the people of Ireland by the State to the same extent as they then belonged to Saorstát Éireann. Provision may be made by law for the management of the property which belongs to the State by virtue of this Article and for the control of the alienation, whether temporary or permanent, of that property. This does not include the natural resources held in Trust by the State for the people of Ireland, which can never be alienated. Provision may also be made by law for the management of land, mines, minerals and waters acquired by the State after the coming into operation of this Constitution. and for the control of the alienation, whether temporary or permanent, of the land, mines, minerals and waters so acquired. All revenues of the State except that arising from natural resources, subject to such exception as may be provided by law, form one fund, and shall be appropriated for the purposes and in the manner and subject to the charges and liabilities determined and imposed by law. The stricture of non-alienation does not mean that our non-renewable fossil fuel or mineral resources can never be developed and sold. The difference will be that the revenue from such sales cannot be used for general government purposes but they must be invested in a ring-fenced fund such as the Norwegian Oil Fund or the Alaska Permanent Fund and managed prudently in trust for the people. In other words, the natural resource may be transformed into another capital resource of equal value, if it is democratically decided to do so in a referendum, but it can’t be spent by the current generation to leave less for the next. It might well be decided by the people that fossil fuel resources such as fracked natural gas is more valuable to current and future generations left stored in the rocks rather than converted into a national fund given its potential to destroy the atmosphere on which we vitally depend. Renewable resources such as wind and wave energy could never be permanently or substantially alienated but must be used for the good of the people of Ireland. Only after all need for such resources are fully met at home, could sale of the products of the renewable energy be considered such as in Top up and Spill arrangements into the electricity grid of the UK or other nation state. Clean fresh water is only partly renewable and is increasingly scarce. The revised Constitution as above will prevent any future government from alienating this natural resource from the ownership of the people of Ireland. This will allay the fears of many people that charging for water use and treatment will lead to the privatisation of the resource. These Constitutional amendments will prevent our natural resources from being used as collateral for borrowing by the State as it will have no right to do so in its role as trustee for the people of Ireland. In the same way, 3rd parties such as the ECB, IMF and EU Commission or private hedge fund or sovereign fund could never demand the sale of our national common resources to satisfy a public financial debt. The context of ‘exporting’ renewable energy raises many issues that do not exist in the context of renewable energy consumed in Ireland. Export presupposes a sale that in turn raises the issue of ownership or the bundle of rights attached to renewable energy resources. This issue has never been discussed in the public domain. There is no shared understanding of the structure and assignment of property interests in Irish renewable energy resources, neither in the consultative document nor any other government policy document. We can look only to Bunreacht nahÉireann, the Constitution of Ireland for direction. Unfortunately, the Constitution is less than fully clear in assigning ownership rights to natural resources within the nation. But if one follows the logic of the various Articles closely and in sequence, one can establish some answers. In brief, Articles 1,2,3, 4, 5 & 6 state that; the Irish nation comprises the people of Ireland who share the territory of the Island; the State derives from the people of Ireland and the organs of the State must deliver for the common good; all natural resources belong to the State (the people of Ireland sharing the island). Article 10 then says that the State (the people of Ireland sharing the island) claims all natural resources subject to pre-existing claims for the time being. We see that the State (the people of Ireland sharing the island) can do pretty much as it pleases with these natural resources including ‘alienation’ either temporary or permanently. Article 11 requires that all revenues including those from natural resources shall go into a single pot, unless law decides it otherwise. The Constitution as it stands does not reflect contemporary knowledge of the importance and role of the environment as the basis of enduring social and economic wellbeing. Its most serious oversight is that it appears to permit the alienation of the Nation’s natural resources by the current generation of the people of Ireland by actions of the organs of the State against the interest of the common good of generations to come of the people of Ireland. The Constitutional Convention should address this issue as a priority. 1. Who can morally and lawfully claim rights to and value from our common wind energy resource? Is it the land owners that give access to it; the local authority that gives it planning permission and imposes development levies and commercial rates; the developer of the wind turbine sites; the final owner of the energy generator assets e.g. wind turbine owners or wind company shareholders; the financiers of the wind turbines e.g. banks, or bondholders providing loans to the developers or investors: the local community living or working in the area the wind turbines are sited and if so how far does that area extend; the government of Ireland; or as the Constitution asserts, only the people of Ireland collectively? This question has important ramifications for planning and economic policies governing RE development. It seems on the face of it that landowners have no prior claim to the value of wind energy simply because their land gives access to it. Neither does the local community appear to have a prior claim over the people in Ireland in general. The local authority however, could make a convincing claim to the wind energy value arising from its lawful powers to tax the operators of the turbines under commercial rates. The accepted purpose of, or rationale for, commercial rates to fund local services has been overtaken by user charges like motor taxes, bin collections, and water charges. Rates are now more akin to a general property tax that pays for wider public services by capturing a portion of the rental value of the site. There is a strong argument for commercial rates to be levied on the owner rather than the occupant or operator of the building or facility in question, as he/she is the ultimate beneficiary of the rental value of the site as is now recognized in the local property tax. But leaving that argument aside for the moment, rates are levied on the occupier/operator of the building/facility; in the case of wind turbines, the wind turbine owner is liable for Rates. 2. How much of the value of the wind energy should be taxed or charged by the local authority and to whom do the revenues belong? The first part of the question if we are guided by the Constitution is easy. The State has no right to assign the value of wind energy to any individual or group except to its rightful beneficiaries, the Irish people on the island of Ireland. All of the wind’s value therefore, and other natural resources, should be recouped through fees or taxes; – less the minimum necessary incentive to develop and maintain the energy technology to access the wind energy and less the portion that recognizes existing private property rights. Rates per turbine should be based on the most suitable size and MW capacity for the site and the best available technology i.e. the least negative impact and the fee/rates amount should be consistent in all local authorities areas throughout the country. This value translates into commercial rates per single 2MW turbine p.a. nearer €30,000, rather than the €5000-€8,000 variously levied by local different authorities. Landowners have a right to full compensation for disturbance and inconvenience and for the reduction of their current use rights under their land’s previous designation. They also need an economic incentive of a minimum rental income sufficient for them to accept turbines on their land. This rental income, I suggest is considerably lower than the figure of €18,000 p.a. per turbine that the IFA has negotiated on behalf of landowners from developers Mainstream and Element. 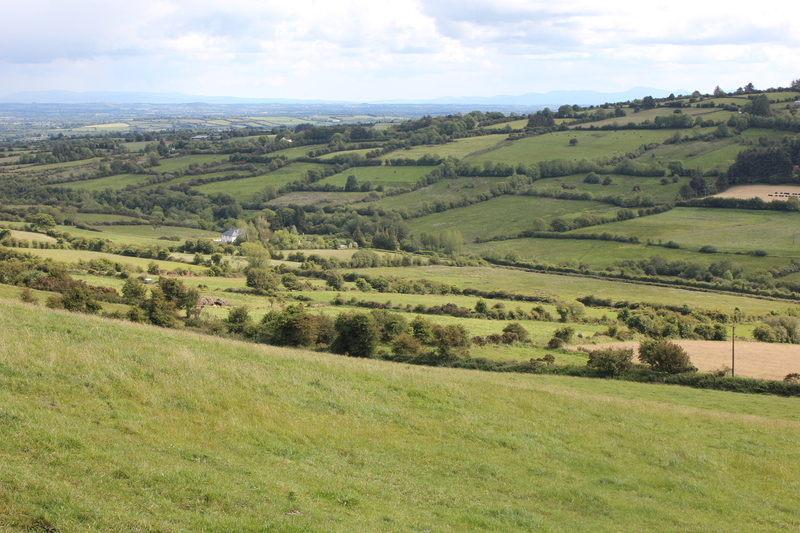 A fair recompense rent per turbine payable to the landowner is likely to be nearer €5,000 p.a. per turbine. The natural monopoly nature of land might lead to landowners demanding more than their fair share of the value of the Nation’s wind resource which is why a fee/rate on the landowner of suitable wind sites whether or not the wind turbine is developed and operational should be considered. This change is not advisable or feasible until a democratic renewable energy plan with widespread Irish ownership of energy assets is in place. The Department of Department of Communications, Energy and Natural Resources would be acting against the Constitution if it accepted special pleading from the farmers, a small sector of Irish people, over the common good of the people of Ireland. The last time this was allowed to occur was in respect of compulsory purchase compensation for farmland required for road building. The result of bowing to the farmer lobby is the most expensive roads in Europe, a higher debt burdens on taxpayers and unsustainably high farmland values to this day. The Constitution is clear in regards the second part of Question 2. The nation’s natural resources, including its wind power, belong solely to the people of Ireland – not the county council / local authority nor the residents of the local authority area. The local authority must therefore act ‘in trust’ for the people of Ireland and distribute the RE revenue for their common good, less reasonable expenses. This does not mean that local property owners and community should not get their fair share. The local authority should use wind energy revenues to give lump sum compensation all families living within 1.5 Kilometers of a turbine whose wellbeing is seriously affected. The compensation should be sufficient to allow families to relocate to a similar house in a safe settlement if their health is at risk from flicker, noise or low frequency vibrations or other RE impact. Their previous rural dwelling should be demolished as part of this deal. Landowners should be given an annual sum to compensate for any out of pocket losses directly due to the wind farm development; for their loss of access to wind energy on their land that often results, and their loss of tourism potential on their land; all which reduces the capital value of their property. Ditto homeowners living further than 1.5 Kilometers, whose property value is reduced due to the loss of views and of the peace and quiet that they previously enjoyed, but not sufficient to cause health impact, should be given a commensurate annual sum in compensation. The local villages through their development association or other local group should be given an annual sum of compensation for the loss of potential tourism development or other impacted business opportunity due to the destruction of views and peace and quiet of the local area. 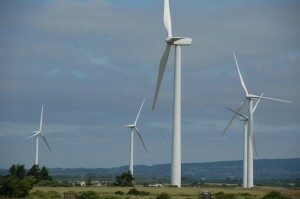 Owners of Natura designated sites within the relevant local authority area with high wind speeds that can never be developed because of their biodiversity riches must also be compensated and rewarded for the services they provide for the people of Ireland by the local authority using revenue from the turbine rates/wind fee. Finally, the surplus following compensation and no more than a l.a. 15% management fee should be given to a central fund to provide investment funds for public, cooperative, community and personal development of energy assets to avail of RE resources in the short term to accelerate the transition from fossil fuel dependence. In the longer term or if decided democratically at any time, the surplus should be distributed as part of a basic income on an equal per capita basis to the people of Ireland. None of the above compensations should be attached as a condition to planning permission. The planning authority should judge the wind farm solely on proper planning and sustainable development criteria and no other. The wind-farm developer should have no role in deciding compensation so it cannot buy the support of local landowners with overly generous rental contracts, or local community compliance with a swimming pool or buy the withdrawal of planning observations from vulnerable people with empty promises. Developers should be legally prevented from applying pressure on any person to support their application even if that person has contracted with them to host turbines, underground cable or provide habitat to offset impact to wildlife. This regulation is needed to prevent the current situation where close communities have been divided into a few winners and many losers mediated by the wind farm applicant who is most likely to flip the planning permission to another unknown developer who in turn will sell on to a hedge fund or other super rich investors. The system is especially cruel to nearby farmers and local residents who don’t make an planning observation/objection in order not to upset family and neighbours who stand to gain from the wind-farm, and who as a result reduce their chances of being compensated in favour of more educated and outspoken objectors. Leaving developers to decide compensation is a completely unacceptable abdication of responsibility on the part of the government and local authority. 3. What else is being exported sold as a consequence or in addition to the electricity? The carbon credits that attaches to the renewable energy by virtue of avoided emissions has a both a political and monetary value. Ireland has to reach a target for RE as outlined in the consultative document. In the case of export of RE to the UK, does the UK get the political credit for reaching its RE targets using Irish based RE or does Ireland, bearing in mind that the energy is consumes in a separate country.? Secondly, we must ask again, who owns the value of the carbon credits; the Irish or UK government or the developer such as Mainstream Energy or perhaps the Sovereign Fund that buys the wind-farm from Mainstream? The Constitution would suggest that the people of Ireland own these credits and they should not be attributed or sold to another state, sovereign fund or private interest even if the energy is consumed and fossil fuel energy displaced elsewhere. There are only so much suitable land for wind energy generation, attributing carbon credits to another state, leaves Irish people at a disadvantage but without the resources to address that disadvantage. 4. What is our agreed policy for the development of renewable energy in Ireland under which we can consider its export and sale? The NREAP is not a publically agreed policy because the Irish public was not invited to contribute to its formulation. Instead, industry insiders and a limited number of associations were asked to contribute to a poorly drafted, highly technical document that did little to clarify the major policy issues that needed to be discussed and resolved. The recently ratified Aarhus agreement requires full participation in strategic decisions on environmental issues. Even though the NREAP was submitted to the EC prior to the Aarhus agreement taking effect in Ireland, it is against the spirit of the government’s commitment under Aarhus to proceed to build on the NREAP without revising it following a wide public information and consultative process. The government cannot therefore rely on the existing NREAP to frame the discussion for an export policy. ‘Broadly identify strategic areas in Ireland for renewable energy generation for export’. 5. Without first addressing the issue of property title to renewable energy as outlined above, it is impossible to fruitfully engage with this question. For instance, offshore wind has a different ownership profile. No landowner can lay claim to it unlike on shore wind. Presumably the wind energy developer will claim stronger title and higher claim to the receipts from the sale of electricity from an offshore turbine. Can the local authority claim development contributions and commercial rates on an offshore wind turbine? What claim has the local community? Secondly, what are the particular ownership and therefore export / sale conditions attaching to RE generated on land owned by a public body or semi state company such as Coillte or Bord Na Mona relative to land owned by private individuals and companies? Will Bord Na Mona retain all the income from electricity generation on its lands or will it be required to remit part of it to the government. 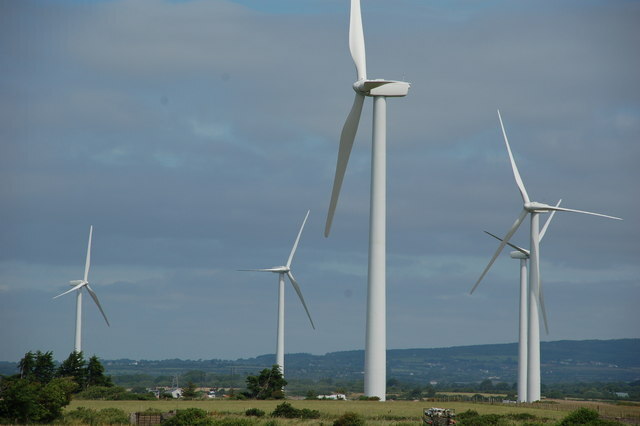 As public bodies and charities currently are not liable to for commercial rates, the question arises whether Bord na Mona will required to pay rates on its turbines to the relevant local authority. Will Bord Na Mona be permitted to retain the rental income for turbines on its lands whether it sells its interest in a wind farm to private investors or it does not? Provide guidance to planning authorities, including An Bord Pleanála, when considering any proposals for renewable energy export. 6. An Bord Pleanala should consider only the proper planning and sustainable development issues and the environmental, social and economic impact of the proposed physical application. It does not have the remit, nor should it have its remit extended, to adjudicate on national economic and social policy issues that are properly decided by Dáil Éireann. In other words whether the electricity generated is exported under contract directly to the UK or other State, exported following local consumption under ‘top up and spill’ arrangements as surplus to Irish requirements or completely consumed in Ireland should not affect An Bord Pleanala’s judgment of the application. The ownership structure of the RE asset should not be a valid planning issues under best practice Town and Country planning theory. This golden rule was ignored in Ireland regrettably, in the case of one-off, rural houses where the particular bloodline of the applicant e.g. of urban or rural stock, their employment type and other personal circumstances was made a valid planning consideration under the Sustainable Rural Housing Guidelines. If the folly of that planning policy change by the Department of the Environment is now not apparent as evidenced by the vast numbers of empty rural dwellings whose occupants have emigrated because of the lack of local jobs in part the result of poor settlement structuration and the mal-investment of scarce resources into consumption over productive enterprise, it should be. 7. RE policy, ownership and export issues should be fully resolved before an application comes to An Bord Pleanala. An Bord Pleanala’s consideration of the environmental, economic and social impact of the application should be blind to the destination of the electricity produced and of the distribution of the receipts from that energy because these important issues should have been satisfactorily and clearly resolved in a national RE policy outlined in legislation enacted by Dáil Éireann. Disputes concerning on matters of detail and interpretation should be resolved by the Courts. Substantial divergences of understanding of the policy or policy conflicts should be resolved through amending legislation. This will include guidance to planning authorities, in consultation with the Department of Environment, Community and Local Government, on the preparation of appropriate development contribution schemes for such types of development. 8. The response to the question re remit and discretion of An Bord Pleanala above also applies to planning authorities. It is unwise and unjust that local authorities be given the discretion whether or not to grant an application based on a development contribution (or bribe to call a spade a spade) for the local authority itself, for a local community or for an individual. Development contributions are a mechanism to recoup the cost of providing infrastructure and services that enabled the proposed development or that are needed for the proposed development to go ahead or to provide for the sustainable development of the local area and community. Section 27 and 28 of the 2000 Act were not designed and should not be used to buy acquiescence of local interests or to compensate property owners for loss of property value on foot of the development. To clarify with an example; it is not acceptable for a local authority to grant permission for a wind farm whether for export of energy or local use, whether owned by the public or a hedge fund, that would cause a significant negative impact on the health of the local people, on biodiversity, or on the quality of water in return for building a swimming pool. The government should decide through a revised RE policy how to apportion the value or ‘planning gain’ of granting PP for a wind farm or other RE facility. The local authority should then simply apply the policy not as a planning gain but as compensation for the use the RE resource. Delete : Maximising the sustainable use of low carbon renewable energy resources. Replace with : Maximizing substitution of fossil fuel energy generation by low carbon renewable energy. Increasing RE without a matching reduction of fossil fuel energy is not desirable but is unfortunately likely to result from the current policy of supporting the Big Power from RE and balancing fossil fuel generators feeding into the transmission grid instead of Distributed Power i.e. small and medium scale RE producers and consumers connected with electricity storage and to the local distributed grid. The local distributed grids then ‘top up’ and ‘spill’ s to each other and the transmission grid. Delete: Any trading of renewable energy between member states must be sustainable in the long term and reduce dependence on fossil fuels. Replace with: Any trading of renewable energy between member states must be surplus to Irish requirements to reduce dependence on fossil fuels. In these uncertain times on the brink of calamitous climate change while the 1% elite are frantically grabbing real resources in exchange for their spurious financial claims on the future, it is dangerous to commit to the permanent alienation of any Irish RE resources. That means that while ‘top up’ and ‘spill’ is acceptable, the ‘dedicated’ RE export of electricity to the UK or any other State bypassing the Irish grid and consumer is not. It is a time of accelerating technological development in wind and wave turbines, in electricity storage systems, in smart grid design which means that decisions can be disadvantageous in ways that simply cannot be foreseen by policy makers with all the good will in the world. Here the precautionary principle should apply with force. Economic growth is not a suitable indicator for a secure and healthy future based on its record to date. Other indicators must be prioritized. Ireland needs higher yielding, more secure investment opportunities for its people in Ireland just as much as we need jobs. Both can be delivered with Distributed Power and the widespread Irish ownership of RE assets. This aim should be the basis for Irish RE policy. Exporting Irish RE is the equivalent of exporting cattle on the hoof with matching loss of local wealth creation, production expertise and employment that entailed. RE targets have been shown to be low bar in the latest terrifying climate change reports. We must be able to do better. Recent studies in the US show that Distributed Power is threatening the financial viability of utilities that still work on the old model. The Irish consumer will not accept subsidizing an out-of-date electricity generation and distribution system that requires fossil fuel back up to offset RE intermittency and that discourages local generation and consumption. The much-vaunted European transmission grid linking wing generators has been tried in Australia and found disappointing. It is a Big Energy and Big Grid solution to RE generation that suffers all the faults of Big Banks and Big Insurance of too big to fail requiring public supports that destroy risk reward systems and co-opt government and regulators. Delete: Any infrastructure built is to facilitate interconnection to other European member states, either immediately or in the future, with minimum disruption; Replace with : Any infrastructure built is to facilitate top up and spill interconnection to other European member states, in the near future because we have very little time and limited resources; Only having secured Ireland’s immediate 100% RE needs will greater electricity exports be considered. For the reasons outlined in No.1; – we live in dangerous and uncertain times. Delete: Protection of the natural, built and cultural environment, particularly residential amenity, to be a priority; Replace with : Protection of the natural, cultural and built and environment, particularly residential amenity, to be a priority subject to rapid transition to RE from fossil fuel – because residential amenity will be very low when the lights don’t work. Delete: Provision of real community gain or benefit to be essential. Replace with : Full recognition of the people of Ireland’s ownership of RE resources is essential including the distribution of its value fairly in respect of existing property rights and the remainder equally to the people of Ireland. Democratic and widespread Irish ownership of energy assets is also essential to prevent the 1% elite’s capture much of the value of the RE resource. There is no time to respond under your Table given the short consultation period allowed. But I cannot let the fact that the Department is already developed a cost benefit analysis go without comment. This is a vital part of any consultation procedure and should have been shared with the public in this consultation. The structure and nature of the ownership of the wind resource and energy assets is vital in a thorough cost benefit analysis. 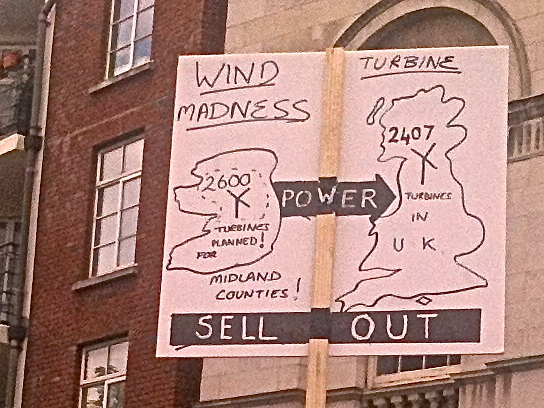 If the wind turbines are owned by foreign sovereign, hedge funds or private investors of any kind, much of the advantage of RE resources is immediately is lost to the Irish people in terms of the balance of payments. Instead of paying outsiders for fossil fuel imports we will be exporting wind energy profits to foreign interests; one is as damaging as the other. Please note that the environmental movement has few resources and what they have is very stretched responding to many current issues not least the Climate Summit in Warsaw that is taking place this week and last. The paucity of submissions is not due to their lack of interest and concern but the short time given for what is a very complicated and vital issue. It is the firm will of the Irish Nation, in harmony and friendship, to unite all the people who share the territory of the island of Ireland, in all the diversity of their identities and traditions, recognising that a united Ireland shall be brought about only by peaceful means with the consent of a majority of the people, democratically expressed, in both jurisdictions in the island. 1. All natural resources, including the air and all forms of potential energy, within the jurisdiction of the Parliament and Government established by this Constitution and all royalties and franchises within that jurisdiction belong to the State subject to all estates and interests therein for the time being lawfully vested in any person or body. 2. All land and all mines, minerals and waters which belonged to Saorstát Éireann immediately before the coming into operation of this Constitution belong to the State to the same extent as they then belonged to Saorstát Éireann. 3. Provision may be made by law for the management of the property which belongs to the State by virtue of this Article and for the control of the alienation, whether temporary or permanent, of that property. 4. Provision may also be made by law for the management of land, mines, minerals and waters acquired by the State after the coming into operation of this Constitution and for the control of the alienation, whether temporary or permanent, of the land, mines, minerals and waters so acquired. The Planning Guidelines For wind turbines are out of date in respect of the type and size of industrial turbines for wind farm development. They are based on the English ETSU-R-97 wind farm noise guidelines which state that a distance of 500 metres will provide adequate protection from wind turbine noise for residents. They specifically state (p.29) that “good acoustical design and carefully considered siting of turbines is essential to ensure that there is no significant increase in ambient noise levels at any nearby noise sensitive locations.” The guidelines do not elaborate on what they consider to be a significant increase in ambient noise levels. By default, the 45dBA daytime limit tends to be applied to all wind farm developments, irrespective of background noise levels. Most planning authorities consider that 15dBA increase in background noise levels is considered acceptable. There is considerable evidence both official and anecdotal that increased noise levels disturb sleep at considerable lower levels. The permitted noise levels of the revised Guidelines should be amended to reflect the much lower levels of background noise in rural locations versus urban locations. Rural locations suitable for industrial wind arrays are invariably also highly suitable for tourism and recreational uses. The standards for permitted extra turbine noise should take into account that visitors to remote rural locations come for the qualities associated with remoteness such as exceptional peace and quiet. This kind of visitor desires to be close to nature and its sounds and prefers tents or camping type accommodation to building accommodation. Standards set in an urban context with the assumption of the shielding effect of building structures are unacceptable and would make tourism in areas impacted by wind farms impossible. It should be an absolute requirement of the new Guidelines that the development of industrial wind farms does not destroy the equal existing rights of rural dwellers under planning laws and designations to develop the tourism industry – an industry with a much higher potential for local job creation and foreign earnings for nation than industrial wind energy. A Guidline standard which relies on distance from the turbine to receptor does not take into account the major changes in turbine design and size which have occurred over the intervening years. At turbine height of 160 metres creates a greater impact than one of 60metres, ditto the size of the blades and electrical generation capacity of the installation. If a distance limit as opposed to performance specification continues to be offered as a guideline to local authorities, it should be set to defaults that reflect current industrial wind farm turbine specifications. This distance is not the current 500 metres from a dwelling or inhabited building or camping site but more correctly, 1,500 metres. The current distance limit in the Guidelines does not recognize the cumulative and terrain specific effects of wind turbines. Receptors with turbines to the prevailing winds locations will suffer more noise impacts than those on the sheltered side. A number of turbines turning together increase the impact as do turbines near to valleys that channels and expands turbine noise and vibrations for longer distances. Research undertaken by the industrial wind-farm industry which demonstrated the shortage of suitable sites in Ireland if a 1,500 metre distance to receptor was adopted was based on shortly to be obsolete technology of the typical Vesta 2/3 MW turbine. Technology in this area is advancing rapidly which if inputted into the algorithms would give very different results applied to the same map. The Guidance can offer flexibility to wind energy developers to make the case for a shorter distance to receptors on the basis of the superior noise and shadow flicker impact of their particular turbine/technology, backed up by third party tests and verification. The guidelines should incentivize best available technology for industrial wind farms and not accept self-serving arguments based on economic viability by the sector. Ireland’s wind resources are second only to Scotland in Europe. This fact can paradoxically encourage second rate and therefore cheaper technology because the winds speeds are high enough to generate profits at lower effort and risk. Noise and shadow flicker along visual and wildlife impact must be minimized or else the reduction of human health, environmental quality, biological diversity and its economic and social benefits will outweigh the benefits of the renewable energy and reduction in GHGs emissions of the technology into question. Innovation in design and efficiency in operation must be rewarded over political connections, financial strength or the ability to manipulate the media and planning system of promoters. Better conversion of wind energy to electrical output in wind energy technologies is in the pipeline. New on-site energy storage systems are being tested every day using compressed air/ heat and as well as the hydro storage of all descriptions. Some of the new turbine designs are much quieter and less damaging to wildlife than the existing standard. Any one of these technologies is a game changer. As many of the wind energy developers request 10 year life planning permissions, forward thinking in the Guidelines and Planning control should not be not optional. For instance, if the storage of energy in off peak times for high demand times was doubled, the no. of wind turbines needed to meet Ireland’s EU renewables targets could be halved. The standards that are set in the Guidelines will either pull these into production or push them back for decades. Higher standards will ensure that renewable energy entrepreneurs will locate in Ireland to design and manufacture their new prototypes, which will bring high quality, permanent jobs and foreign income. Another proven mechanism to encourage best available technology is using fiscal incentives/disincentives. 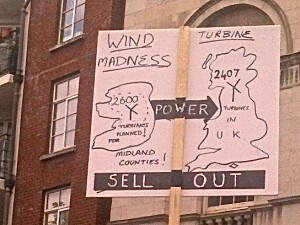 Currently wind turbines are pay circa 5K Commercial Rates per turbines annually to the local authority. This is far too low given that landowners have been promised circa 20k rental for siting the same turbines on their land. This rent is entirely unearned ‘economic rent’ in the jargon which means that taxing it will not discourage development in any way. Indeed higher Rates will encourage development of the best sites with the best technology. Better technologies will get a competitive advantage. Marginal sites that would have high negative impacts as listed above would be discouraged from development. Wind energy is a natural commons held in trust by the Irish government for the beneficiaries of the resource – the citizens of Ireland. Access to the wind resource should recoup the greater part of its value for the community – both national and local. Speculative profiteering similar to those gained in the development land boom that proved so disastrous for the country must be driven out of the wind energy sector. There is already evidence of a bubble in the mismatch of capital value of wind farms and actual returns both in terms of net electricity generated and annual income. The country has suffered enough from speculators and developers flipping unsustainable projects. Other countries have recognized the need for revised standards particularly in respect to noise where much evidence has accumulated about previously unrecognized effects of low frequency sounds associated with larger turbines. This research must be commissioned by the government – not by vested interests. The most recent and comprehensive study has been commissioned by the is Canadian government with a recent call for tenders for research valued at 1.5 million dollars. Their brief is a suitable case study and model for Ireland. I attach a copy of their amended brief. A moratorium should be announced for industrial wind farms until the results of this research are available and incorporated in the new guidance. The last decade has seen a sharp increase in wind turbine generated electricity in Canada. As of November 2012, Canada’s installed capacity was 5.9 Gigawatts, providing 2.3 percent of Canada’s current electricity demands. The wind energy industry has set a vision that by 2025 wind energy will supply 20% of Canada’s electricity demands. Some public concern has been expressed about the potential health impacts of wind turbine sound (WTSFootnote i). The health effects reported by individuals living in communities in close proximity to wind turbine installations are poorly understood due to limited scientific research in this area. This is coupled with the many challenges faced in measuring and modeling WTS, including low frequencies, which represent knowledge gaps in this area. The continued success and viability of wind turbine energy in Canada, and around the world, will rely upon a thorough understanding of the potential health impacts and community concerns. Health Canada is collaborating with Statistics Canada on an epidemiological study to evaluate measurable health endpoints in people living in 8-12 communities at distances up to 10km from wind turbine installations. Measured endpoints include an automated blood pressure/heart rate assessment, hair cortisol concentrations and sleep actimetry. The seven days of sleep measurement data will be analyzed in relation to synchronized wind turbine operational data, providing the strength of a repeated measures design that incorporates objectively determined health outcome measures. In addition, self-reported data will be collected during an anticipated 30-35 minute face-to-face computer-assisted interview at participants’ homes. The questionnaire instrument includes, but is not limited to, modules that probe endpoints such as noise annoyance, health effects, quality of life, sleep quality, perceived stress, lifestyle behaviours (e.g., cigarette smoking, alcohol consumption), prevalent chronic disease and property value impacts. Following completion of the questionnaire, subjects will be invited to participate in the physical health measures collection portion of the study. Both self-reported and measured endpoints will be analyzed in relation to modeled WTS levels as a function of frequency (i.e. permitting A- C and G-weighting assessments). Modeled WTS will be validated and adjusted (if necessary) based on measurements taken indoors and outdoors in a sub-sample of dwellings. The targeted sample will consist of 2000 dwellings at setback distances ranging from less than 500 metres to distances of up to 10 kilometers randomly selected from communities in the vicinity of 8 to 12 wind turbine installations. As sleep disturbance is a frequent health complaint associated with WTS in observational and case studies, one of the primary research objectives in the study is to quantify the magnitude of sleep disturbance due to WTS. Statistics Canada’s experience in sampling from similar communities is that 20% of the 2000 dwellings that are initially targeted will be unoccupied. With a response rate of approximately 70-75% (among which around 20% will be within the closest distances) there should be sufficient statistical power to detect a 7% difference in the prevalence of sleep disturbances with 80% power and a 5% false positive rate (Type I error). Of course there is uncertainty in the power assessment because Health Canada’s study is the first study to implement measured endpoints to study the impact that exposure to WTS may have on human health. Ultimately the results, while not definitive on their own, will contribute to the body of international peer-reviewed scientific evidence examining the health impact of WTS, and may also lead the way for supporting future studies examining this complex issue. In Canada, federal, provincial, territorial, and municipal levels of government share jurisdiction for regulating sound that could be harmful to Canadians. Through administration of the Radiation Emitting Devices Act, Health Canada has acquired expertise in acoustics, which is provided upon request to other federal government departments responsible for carrying out environmental assessments under the Canadian Environmental Assessment Act 2012. Provincial and territorial governments have legislation, guidelines, or municipal by-laws, which may apply broadly or only to specific project types or sectors. With respect to wind turbines, the location and any applicable sound level limits fall under the jurisdiction of provincial governments. Wind turbines are becoming an increasingly common power generation option across North America and in many parts of the world. Those who endorse wind energy view it as a viable and environmentally friendly alternative to fossil fuels. Since the announcement of the Government of Canada’s renewable energy initiatives, there has been a steady rise in the number of wind turbine installations across Canada. According to the Canadian Wind Energy Association (CANWEA) wind capacity is currently surpassing 5.9 Gigawatts (GW) – enough to power over 1.4 million homes (CANWEA, 2012). By 2015, wind capacity is expected to reach 10 GW, which is a 20-fold increase over 2000 levels and by 2025, it is envisioned that 20% of Canada’s electricity will be wind power generated (Canadian Wind Energy Association, 2005). With the surge in wind farm development there has been considerable attention generated internationally and nationally by advocacy groups, concerned citizens and media on the potential health impacts from exposure to the sound emitted by wind turbines. Some groups have expressed concern that the presence of wind turbines within the vicinity of residential dwellings may not only have a negative impact on property values, but may also pose a public health risk to nearby residents. Observational and case studies have disclosed a broad range of health effects claimed to be associated with WTN including headaches, migraines, sleep disturbance, negative effects on psychological well-being, among others. Wind turbines are often situated in rural communities where background sound levels are typically low. Therefore, WTN may be particularly problematic for rural residents as it may be more noticeable and they may experience large changes in sound levels with unpredictable operating times due to variable wind conditions. It is also important to note that not all studies in this area have found significant associations between exposure to sound from wind turbines and self-reported measures of health that go beyond sleep disturbances and annoyance (see review by Pedersen, 2011). The World Health Organization (WHO) defines health as “a state of complete physical, mental and social well-being and not merely the absence of disease or infirmity” and, “the extent to which an individual or a group is able, on the one hand, to realize aspirations and to satisfy needs, and on the other, to change or cope with the environment” (WHO, 1999). The WHO’s Night Noise Guidelines for Europe (2009) cites sleep disturbance as a potential indirect health impact of environmental noise for yearly averaged night time outdoor sound levels at the residence higher than 40 A-weighted decibels (dBA). It has been reported in some studies that the 40 dBA sound level may be exceeded at some residences, suggesting the potential for sound from wind turbines to disturb sleep among sensitive individuals (Pedersen and Waye, 2004; Pedersen et al., 2009; Krogh, 2011; Harry, 2007; Shepherd, 2011; Pierpont, 2009; Nissenbaum et al., 2012). Wind turbine sound includes the production of lower frequencies (Møller and Pedersen, 2011). Once audible, lower frequency sound is more annoying than higher frequencies (Leventhall, 2004). It also travels further than higher frequency sound (Shepherd and Hubbard, 1991), and can penetrate structures such as homes without much reduction in energy (Møller and Pedersen, 2011). Inside the home, low frequency sound can cause objects to vibrate or rattle (ANSI, 2005). Health Canada’s ability to provide advice on exposure to sound from wind turbines has been challenged by limited peer-reviewed scientific research related to both the character of WTS, in particular low frequencies, and a lack of Canadian prevalence data on community complaints and self-reported health impacts from studies with rigorous methodological designs. Assessment of health outcomes, potentially related to sound exposure from wind turbines, has so far been limited. Among the various outcomes assessed, the only reproducible findings linked to WTS have been based on measures of social and psychological well-being or quality of life and the extent to which they disturb various human activities (i.e. sleep disturbance). Wind turbines, and the sound they produce, continue to receive attention as the numbers of wind-power projects increase in line with national and provincial clean-energy targets. Concerns of individuals regarding wind turbine installations include, but are not limited to, nausea, vertigo, tinnitus, heart palpitations, stress, blood pressure spikes, sleep disturbance and annoyance resulting from the noise that wind turbines produce (Harry, 2007; Pierpont, 2009; Krogh, 2011). An extensive review of these and other studies is planned to coincide with the completion of the Health Canada study. To date, there have been no field studies that have included objectively measured health-related endpoints in their study design, which could lend support to some of the self-reported claims derived from questionnaires. These studies would offer a distinct advantage over those based on self-reported health questionnaire data alone. Studies that use self-reporting alone may be prone to participation bias, and also awareness bias where individuals may tend to over report symptoms or health conditions because of a heightened awareness of possible health impacts from media, advocacy groups etc. Similarly, there may be situations where individuals under report conditions. Objectionable environmental sound (i.e. noise) tends to be a concern mostly among urban or residential settings that may be impacted by highways, railways, and airports. However, more recently, wind power projects have been introduced in rural environments, where man-made sound sources tend to be less common than in urban areas. Regardless of the community type, exposure to prolonged or excessive sound may directly or indirectly affect the health and well-being of individuals. Because of the health risks that have been associated with sleep disturbance (for any reason), long-term sleep disruption may also be considered an indicator of a possible health impact because it may lead to chronic illness. Although no study to date has quantitatively measured sleep disturbance in populations living in the vicinity of wind turbines, self-reported impacts on sleep have been associated with exposure to WTS or distance to wind turbines in some, but not all field studies (see review by Knopper and Ollson, 2011; Pedersen (2011), Nissenbaum et al., 2012). Considering the scientific evidence on the lowest observed adverse effect level for sleep disturbance, the WHO identified an average annual outdoor nighttime sound level of 40 dBA as a recommended limit to protect public health from night noise, including that of the most vulnerable groups such as children, the chronically ill, and the elderly. A-weighting has become ubiquitous in characterizing community sound sources because it accounts for the relative loudness perceived by the human auditory system, i.e., it filters out low and high frequencies. For this reason, there has been criticism of an A-weighted base limit for a source that contains low frequencies such as large scale wind turbines. To complement the A-weighted outdoor levels, an explicit accounting for low frequencies is appropriate for wind turbines. Outdoors, the A-weighting tends to overestimate the perceived loudness of low frequencies from wind turbines. Conversely, A-weighting may underestimate the indoor awareness of wind turbine sound due to resonances and rattles that can sometimes be caused by low frequencies. The statistical odds of self-reporting annoyance have been found to be consistently associated with increasing WTS levels (Pedersen and Waye, 2004 and 2007; Pedersen et al., 2009). This relationship has been found to be moderated by economic and visual effects (Pedersen et al., 2009; Pedersen and Larsman, 2008) so that those with economic benefits are generally less annoyed, but those who dislike the visual impacts tend to self-report higher levels of annoyance. In both cases, these interactions make it difficult to isolate the WTS from the community response. Aerodynamic, which is produced by wind passing over the blades of the wind turbine and passage of the blades in front of the tower. Wind turbines produce broadband sound similar to that produced in buildings by heating, ventilation, and air-conditioning systems. This broadband sound can be modulated by the blade passage frequency resulting in a characteristic “whooshing/swishing” sound. As distance from a turbine increases, the highest frequencies are reduced and the remaining sound energy tends to include lower frequencies. Early wind turbines were designed with blades placed downwind of the tower, forcing wind to travel past the tower before striking the blades. This design resulted in a sound output that generated a strong low-frequency pulse and had significant levels of energy in the infrasound range (1-20 Hz). Although modern wind turbines have reportedly overcome many of the problems associated with their predecessors (modern turbines have blades placed upwind of the tower to minimize the generation of low frequencies and infrasound), today’s turbines are much larger and continue to generate noise complaints from nearby residents. The level and characteristics of sound at the receptor is dependent on several factors including the type of wind turbine, distance from the turbine, intervening structures, the existing background sound levels, wind speed and direction, topography, and meteorological conditions. Low-frequency sound is generally defined as sound between a frequency range of 20 and 200 Hz. At frequencies below 20 Hz it is sometimes referred to as infrasound. Infrasound produces sensations that may be vaguely described as pressure sensation (DEFRA). The properties of low frequency sound allow it to travel farther distances with less atmospheric attenuation than higher frequencies and it is less susceptible to conditions that mitigate the transfer of sound from outdoors to indoors including structural barriers, environmental conditions and topography. Low frequency noise may be associated with complaints from wind turbines, especially if it contains audible tones. It is possible to meet an A-weighted sound pressure level limit, but the presence of a dominant low-frequency may become noticeable and for some people may be a source of annoyance. Low frequency sound is not generally well perceived by the human ear; however, it may induce vibrations in lightweight structures in residences or sleeping quarters that may be perceptible or cause a “rattle.” Research indicates that an individual’s annoyance related to noise is greater when low frequencies are present. One of the main reasons is that very little change in the sound pressure level at lower frequencies is needed to have a disproportionate increase in subjective loudness. It has been noted in the literature that the effects of infrasound (less than 20 Hz) on people are not well understood (National Research Council, 2007). A survey of all known published results of infrasound from wind turbines found that wind turbines of contemporary design, where rotor blades are in front of the tower, produce very low levels of infrasound (Jakobsen et al., 2005). Research in this area is ongoing. Evidence gaps exist around methods to account for the low frequencies from wind turbines at the receptor(s) and whether or how to attribute the response to low-frequencies with health effects that are known to occur only at much higher sound pressure levels than those produced by wind turbines. Impairments in perceived stress, quality of life and self-reported sleep quality. The study also aims to assess WTS characteristics for the presence of low frequencies, tones, amplitude modulations, etc. and the impact they may have on these and other endpoints. The rationale for both the provincial and community selection will be provided upon completion of the study. To do so at this stage could introduce an awareness bias into the study design. Using available maps and/or environmental assessments for wind turbine projects, rough predictions of WTS level contours were delineated for the purposes of identifying potential dwellings. Statistics Canada will be making door-to-door visits in identified communities. As there are relatively few homes situated within 600 metres (~ >40dBA) of the closest turbine, all of these dwellings will be recruited. At distances further from wind turbines, dwellings will be randomly selected. A team of trained interviewers will arrive at specific geographic locations. In cases where occupants are either not available or home, up to two additional attempts will be made at alternate times. The times of day, including weekday or weekend, that interviewers visit homes will vary so as to target a range of individuals from different demographic categories: working adults, shift workers, at-home mothers or fathers, retired persons, students. Upon confirmation of the number of adults residing in the home, a computer assisted random selection method will be applied to select the resident (between 18 and 79 years of age) who would then be targeted for both the questionnaire administration and physical health measures collection. If the resident selected is not at home or unavailable, they would arrange a time to return and/or obtain a telephone contact for that person. The interviewer would return up to three times in order to interview the person selected (so as not to bias the sample selection). Participation in the study requires that subjects provide informed consent and are able to complete the questionnaire in either English or French and that they are between the ages of 18 and 79 years of age. Exclusion criteria for blood pressure measurements include the following: subjects’ arm is in a cast, immobilization, partial paralysis of the arm, or amputation. Other conditions that could exclude subjects from blood pressure measurements include edema, severe skin condition, gauze dressings, open wounds or sores, arterioveinous shunt, or mastectomy. Participation in the hair cortisol sampling requires that subjects have sufficient hair near the apex of the scalp, i.e. minimum 2 cm of hair ~ 100 strands. Finally, participation in the sleep actimetry portion of the study requires that the subject is able and agrees to wear the waterproof device on their wrist for 24 hours per day over a seven-day period. Therefore, for sleep actimetry, an inclusion criterion is that the subject agrees to sleep at home for at least three of the seven consecutive days that they consent to wear the device. A 30-35 minute computer assisted questionnaire will be administered in the subject’s home during a face-to-face interview. The questionnaire was pilot tested in French and English on a sample of 24 subjects living near wind turbine installations after which the content and questions were revised and further questionnaire development was carried out in partnership with Statistics Canada Special Surveys Division with input from an expert working group and other professionals with expertise in the field of sound and social surveys. The questionnaire also underwent modifications following a 60 day public consultation period. The questionnaire presently consists of 13 primary modules/content areas. Considerations including response fatigue (that could reduce response rates) and a desire to reach as many participants as possible, imposes a total time limitation for each respondent that cannot exceed 70-75 minutes, on average. Accordingly, decisions on critical content for the questionnaire were required and some information, though desirable, may not be acquired at this time. Some information may be sought through alternate means, e.g. data linkage to medical records, where possible. Self-reported height and weight information will also be collected and adjusted to account for bias in self-reported estimates. Adding time in order to measure both would mean that the questionnaire would need to be further reduced and this was not a favourable option. The paper providing the basis for self-report and the adjustment is published by Shields et al. (2011). Self-reported estimates of bedroom dimensions will be taken from subjects that indicate they are sleep disturbed by exposure to noise. Even though these are estimates, room measurements are important to consider as they can indicate not only the resonance of a room but also which low frequencies would be amplified and would represent “worst case” for a residence. The resonance of a room is also important in cases where frequencies may correspond to a tone produced by the local wind turbine. Furthermore, room resonances can change low frequencies from below the hearing threshold to the point where they become more audible and may generate complaints. There is no five minute rest period prior to the automated blood pressure testing. The reason for this change is that the respondent will have been sitting for the previous 30-35 minutes while completing a questionnaire and therefore an additional five minute rest period was deemed to be unnecessary. Systolic and diastolic blood pressure and heart rate will be measured electronically with an automated oscillometric device: the BpTRU™ BPM-100 (BpTRU™ Medical Devices Ltd., Coquitlam, British Columbia). The BpTRU™ meets the Association for the Advancement of Medical Instrumentation standard and the British Hypertension Society protocol. The test will consist of six oscillometric measurements taken at one-minute intervals. The health measures specialist will ensure proper functioning of the BpTRU™ and that the respondent follows test instructions. The BpTRU™ digital display will be positioned so that the respondent cannot see the results during the test. The device will be calibrated before usage. Participation rate is expected to be approximately 90% to 98% based on qualitative testing of the introduction and procedures script for this collection using a convenience sample of 18 subjects who were financially compensated for participating. During the qualitative testing of the script, 98% of subjects agreed to participate hypothetically, in the blood pressure measurement collection. As part of the Canadian Health Measures Survey (CHMS), Statistics Canada has conducted blood pressure measurement collections using a protocol very similar to this in their mobile clinic with a reported participation rate of 98%, however subjects are compensated financially for visiting the mobile clinic and taking part in a two hour CHMS health measurement collection. The subjects in this study will be invited to participate in this collection during an in-home visit and will not receive financial compensation. An individual’s blood pressure is sensitive to many different factors, including time of day, consumption of food, stress, sleep quality, hereditary factors and pre-existing conditions. For these reasons, the collection approach to taking measurements will attempt to minimise the impact that these may have. For example, subjects will be asked about whether they have smoked in the two hours prior to taking the measurement and the statistical analysis of the results will account for those that cannot be reduced through sampling procedures. A wrist-worn actimeter (i.e. sleep watch) will be used to provide measures of sleep onset, total sleep time, awakenings, sleep efficiency. A small pilot study utilizing 24 volunteers has been conducted to evaluate the sleep watches. The pilot study evaluated different actimeter models including the output quality, and assessed anticipated issues associated with non-compliance. The value of adding a complementary sleep diary was also part of this pilot study. The selected actimeter will be: water resistant or waterproof with a minimum rating of 10 ATM or 10 BAR (100 m or 330 ft); light weight and intended to be worn comfortably on the wrist; rechargeable; certified to be used for research in Canada; and robust enough to handle normal daily activities including occasional knocking, jarring, bumping, vibration, compression, temperature fluctuations, humidity fluctuations, water submersion. The memory capacity of the watch will be sufficient to store data in 30 sec and 1-min epochs for 192 continuous hours. The device will also be able to sample at a minimum frequency of 32 Hz, include a light sensor with wavelength range from a minimum of 400 nanometers to maximum of 700 nanometers and have an event marker button. Analysis of pilot study results indicated that a sleep diary was not necessary and would likely reduce compliance. The position of the subjects’ bedroom window during sleep will need to be recorded to improve the accuracy of the sound level predictions. An interviewer trained in the collection of physical measures will provide instructions on how to use the device. Subjects will be asked to wear an actimeter on their wrist for 24 hours per day over seven consecutive days. At the end of the 7 day period, the actimeter will be returned to Statistics Canada where data will be downloaded. The device will be cleared, charged and then sent out for use by another respondent following re-initialization. Data will be collected in 1-min epochs. Participation rate is expected to be approximately 95% based on qualitative testing of the introduction and procedures script for this collection using a convenience sample of 18 subjects who were financially compensated for participating. Complete compliance rate for all seven days of actimetry is expected to be between 4-5 days based on a study carried out by Statistics Canada using physical activity monitors. Actimetry is a valid and reliable sleep assessment method according to reviews and guidelines established by the American Sleep Disorders Association (Thorpy et al., 1995). In a clinical review of the role and validity of actimetry in sleep medicine, Sadeh (2011) highlights the limitations and strengths of this device for evaluating sleep in different populations. Among the advantages of actimetry, is reasonable validity and reliability in assessing sleep-wake patterns and continuous monitoring capacity 24 hours per day across several days (Sadeh, 2011). A limitation reported in earlier studies was in assessing insomnia; the use of actimetry compared to polysomnography resulted in overestimates of sleep time due to the tendency for individuals with insomnia to lie in bed motionless for extended periods (Sadeh, 2011). However, more recent studies have shown that actimetry is a valid tool for assessing insomnia among normal controls (Sanchez-Ortuno et al., 2010; Natale et al, 2009). Considering the high night to night variability in sleep patterns in insomnia, it has been suggested that a period of at least one week be used to provide reliable estimates (Van Someren, 2007). A period of five days or longer is a recommended clinical practice point indicated by Sadeh (2011) as it reduces inherent measurement errors in actimetry and increases reliability. According to Thorpy et al. (1995), actimetry studies should be undertaken for a minimum of three consecutive 24-hour periods. The seven consecutive days, 24 hour per day time period selected for the present study is therefore well supported in the literature and considered more than adequate for evaluating sleep in a non-clinical study sample. Subjects will be asked to provide a small amount of hair (approximately 100 strands) for the measurement of cortisol concentrations. Hair samples will be cut as close to the scalp as possible by the interviewer and taped on a section of tin foil that denotes the scalp end of the hair. The sample will then be placed in an envelope and sent to the laboratory for analysis in accordance with procedures outlined in van Umm et al. (2008). Participation rate is expected to be approximately 60% to 70% based on qualitative testing of the introduction and procedures script for collection using a convenience sample of 18 subjects who were financially compensated for participating. To support improved compliance in the absence of financial compensation by Health Canada, changes have been made to the presentation of the cortisol portion of the study based on feedback from participants and other research protocols. Furthermore, based on consultation feedback, communities appear highly motivated to participate in the study and trained interviewers will use conversion strategies during the actual collection. These revisions are expected to support participation rates of between 60% and 70%. In some cases, hair length may be insufficient to provide a 3-cm section. In these cases an average concentration will be based on a shorter time period (e.g. 2-month) and accounted for in the analysis. In a review by Russell et al. (2011), several human studies using hair cortisol analysis as a chronic biomarker of stress are documented. For example, a study of chronically unemployed individuals and another of healthy pregnant women report a positive association with self-reported stress using validated scales such as the Perceived Stress Scale (PSS) and hair cortisol levels (Kalra et al., 2007; Dettenborn et al., 2010). Due to the large number of subjects, sound exposures will be based on predictions. A sub-sample of measurements will be taken at each selected site to validate predictions. This approach is considered preferable due to the technical limitations of measurement. Modeling is considered more accurate in representing average wind turbine sound levels than discrete measurements, which are sensitive to fluctuating variables and do not discern between sources of sound. If measurements were to be used instead of predictions, using the current design, measurements would have to be taken at each receptor and in all four seasons under all relevant weather conditions, which is not feasible in the present study. For these reasons, measurements are often more difficult to carry out in addition to the error and uncertainty levels associated with direct measurements. Predictions, on the other hand, have more general applicability, have relevant factors built into the prediction model and are more feasible in large scale studies. The only cases where measurements would be recommended would be to validate predictions, or in identifying new or unusual situations that occur under proscribed conditions. Consistent with this approach, a limited number of measurements will be used to validate predictions. Also, a more detailed set of measurements will be made to validate low frequency and infrasound predictions. Estimates will also be made of indoor sound levels based on the expected difference between indoor and outdoor levels. In studies evaluating annoyance from road traffic noise, indoor measurement is identified as the most relevant. Therefore, in evaluating annoyance due to WTN, it may be important to evaluate indoor sound levels. In order to compare results to findings of other studies carried out in other countries, it is important to determine if Canadian homes have more or less attenuation of outdoor sound. It will also be important to gain knowledge of the attenuation between homes and evaluate whether attenuation varies significantly between different Canadian homes using different exterior building materials (E.g.wood, brick, stucco, aluminum siding). Outdoor sound pressure levels will be predicted at receptors using Datakustic CadnaA and EMD International AS WindPro software. The latter software package will also be used to evaluate shadow flicker at the receptors. Sound modeling will include implementations of ISO 9613, Harmonoise, and Nord2000. For simplicity and comparison with other studies, outdoor sound pressure level predictions will also be made using a Swedish national method (Ljud från vindkraftverk, 2001), (Ljud från vindkraftverk, 2010). The predicted levels will be validated by at least one acoustical measurement at each survey location for each model of wind turbine to which the survey subjects are exposed. Infrasound levels will be predicted using a parabolic equation method (see section 6.2.2). Topographical data will largely be obtained from 1:50,000 scale maps of Canada with 10 m contour intervals. In each modeled location a search will be made of provincial and municipal documents for more detailed information. Roads, railways, water, and wooded areas will also be identified using topographic maps. Wooded area outlines, contour lines and the area outlines of large buildings will be used to determine visibility of wind turbines. Contour lines and large building area outlines will be used in the calculated effects of barriers to sound. As appropriate Blue Marble Global Mapper software will be used to convert Digital Elevation Models and other map formats into vector contour lines, road lines, building location points, building outlines, wooded area outlines, etc. This data will also be supplemented by satellite and aerial photographs from Google Earth to identify the wind turbines, receptors and terrain features such as roughness length. Ground truth verification will be obtained by global positioning system (GPS) measurements at each respondent’s home, as well as visual identification of the number of wind turbines, and terrain features. As appropriate, inputs to the modeling software will include meteorological classes based on the statistics of the meteorological data. These data will be obtained from the nearest Environment Canada weather stations. The Environment Canada data includes hourly reports of temperature, humidity, wind direction, wind speed, and cloud cover. Along with the roughness length estimated from the topographic maps, this data will be used to estimate meteorological classes. This will account for wind and temperature gradients in the propagation calculations. The wind turbine sound power levels required for modeling will be obtained from publicly available sources on the internet, such as Canadian Federal and Provincial Environmental Assessment reports with data that conforms to IEC 61400-11. The spectra will be checked and extended down to 6.3 Hz using at least one measurement for each identifiable wind turbine type at each survey location. On conclusion of the survey, these data will also be requested from manufacturers and wind turbine operators. The sound pressure levels at receptors due to road traffic, trains and aircraft will also be quantified. For the larger roads and highways, traffic counts are available from provinces and municipalities. Train traffic will be estimated from schedules. Wind turbines are not constructed near large airports, so air traffic patterns will be estimated through consultation with the local airport authorities. Indoor sound pressure levels for rural Canadian homes will be estimated using the outdoor to indoor level difference) from ANSI S12.9-2005/Part 4 with windows partially open. At frequencies below 16 Hz, indoor and outdoor levels will be treated as equal. Due to the assumption of partially open windows, the outdoor to indoor level difference is not assumed to exceed 25 dB (below 5 kHz). Measurements at sub-sample of representative homes will be used to validate and complement the indoor estimates and assumptions. To help improve these estimates, the details of the construction of each house including the participant’s bedroom dimensions will also be obtained during the in-person interview. For respondents who indicate they are disturbed by noise during sleep, self-reported bedroom dimensions such as length of room, width of room and floor to ceiling measurements will be documented. Measurements will be made near the base of the turbines to verify the available sound power level data, and to extend this data down to 6.3 Hz and lower in the infrasound range. On completion of the study, this data will also be requested from the wind turbine manufacturer. Using the same instrumentation, additional measurements will be made at distances up to 10 km from the wind turbines to verify the sound propagation algorithms used. To allow a verification of the indoor sound exposure, the difference in level from outdoors to indoors will be measured at a sample of homes. The details of the construction of each house and the participant’s bedroom dimensions will also be obtained. In some cases, sound pressure levels will also be recorded near the wind turbines to correlate with the actimetry measurements during sleep. Due to competing sources and the large number of individuals wearing actimeters at any given time, indoor sound pressure level measurement is not a feasible option. At each site where residents are surveyed, acoustical measurements will be made at one or more wind speeds. Measurements will conform as closely as possible to the requirements of IEC 61400-11. It will typically be necessary to measure multiple turbines, and when these turbines are located on private property the distances and angle of measurement may not conform to the requirements in IEC 61400-11. Corrections for geometrical divergence and atmospheric absorption from ISO 9613 will be used to account for differences in measurement distance. During these measurements, wind and temperature will be monitored at 2 m height and at a height of 10 m using a portable weather station. The rotational speed of the nearest turbine will also be measured. In addition, on completion of the measurements, meteorological data will be obtained in addition to wind turbine electrical power output, and wind turbine rpm data from the wind turbine operator. Measured data will also be compared to Environment Canada data for wind speed, wind direction, and cloud cover from the nearest weather stations. Similar measurements to those used for the source sound power will be made at distances up to 10 km from wind turbines to validate the sound propagation models. The meteorology will be measured between the wind turbines and the measurement microphones. In these measurements an attempt will be made to correlate the site topography and meteorology statistics with the sound floor due to wind sound (van den Berg, 2006). Outdoor measurements of WTS will use Brüel & Kjær type 4189 ½ inch pre-polarized microphones with 14.6 dBA inherent sound and -3 dB lower limiting frequency at 4 Hz. These microphones are located at ground level using a Brüel & Kjær type UA-2133 ground disk with 750 mm and 90 mm hemispherical windscreens. Data acquisition will use a Brüel & Kjær type 2270 sound level meter and Brüel & Kjær PULSE system with type 2669 preamplifier and LAN-XI front end with dual 24 bit input modules providing a combined 160 dB dynamic range. The portable weather station consists of an Onset HOBO U30 NRC data logger with 6 watt solar panel, S-THB-M002 temperature humidity sensor with RS3 solar radiation shield, S-TMB-M017 temperature sensor with RS3 solar radiation shield, S-BPB-CM50 barometric pressure sensor, and two S-WCA-M003 cup anemometers and direction vanes. The weather station sensors will be mounted at 2 m and 10 m height on a Clark QT 10/HP mast. Infrasound propagation will be validated by measurements similar to the method used for source sound power and sound propagation. One notable difference is that data collection will occur for a minimum of one week each season to capture all appropriate meteorological classes. Measurements will be made simultaneously at four points out to a distance of 10 km. Pressure will be measured using micro barometers with a 50 foot radius cross shaped wind screen. Measurements of the difference in level from outdoors to indoors for rural Canadian homes will follow the procedures of ISO 140-5:1998. Data will be obtained with the windows closed. For measurements using loudspeaker excitation, the results will be extended down to 16 Hz. In locations subject to sufficient WTS, these measurements will be supplemented down to 6.3 Hz using methods for air traffic in ISO 140-5, informative Annex D. Similar to the low frequency measurements made in Denmark (Hoffmeyer and Sondergaard, 2008) indoor measurements will include microphone positions 10 cm to 20 cm from trihedral corners. In addition, a reciprocal measurement of transmission loss will be made similar to the procedure of (Sharp and Martin, 1996) where the sound sources are located indoors. The reciprocal method also allows the possibility of using microphones located above the home. Results obtained with wind turbines will be compared to the other methods to determine the relationship between transmission loss, reverberation time and outdoor to indoor level difference for wind turbine sources. As these measurements will expose participants to sound, interior sound levels will be restricted below any and all Canadian occupational limits. For this reason, impulsive excitation to determine reverberation time using balloons will not be feasible, unless home owners are willing to leave the home during the measurements. A toy balloon can exceed 140 dB peak levels when popped. A bursting balloon can also result in startle which could lead to adverse reactions in young people suffering from Long QT syndrome. To avoid these problems, loudspeakers will be used to measure reverberation time and transmission loss according to ISO 140-5. The maximum level of the speakers will be limited to 104 dBA. To eliminate startle as a concern, the sound signal will be designed to ramp up slowly in volume. To avoid disturbing neighbors, the nominal target outdoor sound level at the property line is 50 dBA. In some cases this does not allow sufficient signal to sound for the measurements. The sound will therefore be designed to be minimally intrusive by using random pink noise excitation, and shaping it with a graphic equalizer to be 6 dB above the background sound. Following ISO 140-5 the differences in levels in adjacent 1/3 octave bands will be kept below 6 dB. Also to avoid disturbing neighbors, the measurements according to ISO 140-5 can be supplemented, or replaced with reciprocal measurements of transmission loss using the procedure of Sharp and Martin (1996). In this case, the sound sources will be located indoors, which could allow outdoor levels to be as much as 80 dB lower than the levels that would be required for ISO 140-5. Data acquisition will use Brüel & Kjær type 2270 sound level meters. These meters will provide immediate on-site quality checking of data using the Bruel and Kjaer 2270 dual channel building acoustic software BZ-7229, which gives reverberation time and transmission loss results from 50 Hz to 5 kHz. National Instruments Labview software will be used to create the sound exposure and a Lenovo W520 ThinkPad computer will be used to generate the sound. As the latter is not a calibrated source, measurements will be made simultaneously with multiple microphones indoors and outdoors. Sound will be reproduced through a Paradigm Signature S1 bookshelf speaker and a lightweight Paradigm Servo subwoofer with 15 inch woofer below 160 Hz. Loudspeakers were chosen on the basis that they met the directivity requirements of ISO 140-5, they could achieve the desired sound pressure levels, and would appear relatively innocuous to the homeowners. The lower limiting frequency of the measurement will be 16 Hz, where the subwoofer output drops to 84 dB at 1m in a hemi anechoic space. During some of the actimetry measurements, the WTS will be logged at a single position near a representative wind turbine using a Bruel and Kjaer 2270 sound level meter and type UA 1404 outdoor microphone kit. This measurement will be synchronized with the actimeters to enable an estimate of the times when the turbines are operating intermittently or continuously. At the conclusion of the study operational data will be requested from wind turbine operators to synchronize with the sleep actimetry results. An exposure response model is being used to study the health effects of sound from wind turbines in local communities. Dwellings will be classified into 5 dB(A) intervals according to A-weighted sound emission level due only to WTS, i.e., <30, 30- <35, 35- <40, 40- <45, and ≥45 dB(A). The study is not designed as a control and treatment group study. Finding an appropriate control group, where all factors are equal with the exception of the WTS would be difficult, since the control community would need to also be exposed to similar meteorological (and perhaps topographical) conditions. Therefore, an exposure response model would be the most appropriate to investigate the health effects of those who are in a closer proximity to the wind turbines compared to those living further away, as they would be exposed to similar living conditions, e.g. regional, meteorological conditions, and landscape. The latter group is considered to represent a control population where exposure to WTS is effectively nil and any observed impacts would not be attributable to WTS. Chi-square test of independence to compare proportions of individuals in the various sound level groups of those annoyed/not annoyed by WTN conditional on other factors (such as (but not limited to) WTS exposure level, economic benefits, visibility of wind turbine, etc.). An analysis of variance (ANOVA) to compare WTS levels groups for interval data, such as cortisol levels, blood pressure/heart rate and sleep actimetry while adjusting for effects of possible confounders. Correlations between ordinal and interval scale variables (ordinal scale variables are those which require participants to grade their approval/disapproval on a scale from 1-5, whereas interval data are measured variables such as cortisol concentrations and blood pressure). Logistic multivariate exposure response regression model will be developed for dichotomous response variables (annoyed/not annoyed; notice but not annoyed/do not notice; as well as others) to compare the characteristics of groups with respect to a continuous scale of the exposure variables and other environmental and moderating variables. Multivariate linear regression exposure response models will be developed for interval data (cortisol concentrations in hair, blood pressure, sleep parameters) to compare the characteristics of groups with respect to a continuous scale of the exposure variables and other environmental and moderating variables. Simultaneous regression models to compare WTN disturbance from various sound sources as determined by the questionnaire. Principal components to generate the dependence structure between subjective response variables. As sleep disturbance is a frequent health complaint associated with WTN in observational and case studies, one of the primary research objectives in the study is to quantify the magnitude of sleep disturbance due to WTN. There are currently no population based normative data that are derived from actimetry from communities exposed to WTS. Therefore, statistical power in the study is based on reported sleep disturbance. Estimated sleep disturbance in the general adult population is approximately10% (Riemann et al., 2011; Tjepkema, 2005), with some estimates as high as 40% (National Sleep Foundation, 2005). In calculating sample size needed for statistical power to detect a sleep disturbance in this study, the conservative estimate of 10% will be used. Based on a sample of 2000 dwellings and assuming that 20% of the sample live in close proximity to wind turbines (at 40 dBA or above) investigators will be able to detect at least a 7% difference in prevalence rates between the general population and the sample of individuals living in closest proximity to wind turbines, with a 5% false positive rate and a power of 80%. This sample size calculation incorporates the following assumptions: a) there will be an 80% occupancy rate for dwellings in rural areas and b) there will be a 70% participation rate for sleep actimetry. A sample size of 1800 dwellings would be required, however given the possibility that not all assumptions may be met and that prevalence rates will be adjusted for other covariates in a logistic regression model (for example gender, age, receiving financial benefit, house construction type among others), the sample has been increased to 2000 dwellings. Based on the estimated sample size of 2000 dwellings, all other objective endpoints should be equally predicted with similar confidence. Other studies that have used actimetry to characterize aircraft sound impacts on sleep are based on far fewer subjects (Passchier-Vermeer et al., 2002; Fidell et al., 1995; Horne et al., 1994; Ollerhead et al., 1992). The research is intended to provide decision makers with new scientific evidence to support a global evidence base that will help inform decisions and policies on practices regarding wind turbine proposals, installations and operations in Canada. While this research is being conducted to provide additional insight into an emerging issue, the results will not provide a definitive answer on their own. They will advance the current state of knowledge and provide a basis upon which to build future research in this area. An epidemiological design such as this one has strength in the multiple outcomes examined, the relatively large sample size and the measure of self-reported prevalence for factors under investigation. Epidemiology studies, however, cannot eliminate all sources of bias (see below). There are strengths and weaknesses to any epidemiological design. The current cross-sectional study is an observation study at one point in time among a sample of subjects living various distances from wind turbines. The temporality of the relationship renders it difficult to establish if exposure to WTS precedes the investigated health endpoints or if the health endpoints are already present before being exposed. Therefore, this design does not permit any conclusions to be made with respect to causality. As well, the nature of this study does not allow any investigation regarding the length of time exposed to WTS in relation to any of the measured health endpoints. However, it will be possible to have a global estimate of an individual’s history of exposure by matching historical operations with self-reported duration of residency. In the case of the sleep actimetry, this approach has the strength of being a repeated measures design because multiple measures of sleep are taken from the same subjects that can be time-matched to wind turbine operational data. For the other measured endpoints in this study no repeated measurement can be made and so consideration has to be given to the possibility that these measures are susceptible to other factors. Furthermore, although measurements of health indicators will be used in this study, other factors may affect these measurements. These include participants’ compliance, individual timing and setting of the measurements, etc. This study may also be impacted by different forms of bias and some of these are discussed below. It is important to acknowledge the limitations that exist when relying solely upon self-reported questionnaire data to evaluate associations between WTS and human health. Biased results can result when using questionnaires and relying only on self-reported data as there is a greater likelihood for individuals who are most concerned or aware of the issue to participate and furthermore for these individuals to over report health symptoms or disorders (Smith-Sivertsen et al., 2000; Moffatt et al., 2000). It has been recommended by Moffatt et al. (2000) “that because absolute certainty about the role and extent of awareness bias in environmental epidemiology studies is unlikely to be achieved, self-reported data should be supplemented with other observations“. As mentioned previously, there may also be factors that motivate people to under report (e.g. fear of reducing property values). For these reasons, it is Health Canada’s view that the questionnaire should also endeavour to collect information that allows Health Canada to determine the extent to which bias may influence the results. Since announcement of the study by Health CanadaFootnote ii , it has received public and media attention. Although this announcement was made to increase the transparency of the study and to acquire feedback on the proposed design from interested stakeholders, such attention has the potential to have an impact on the results of the study by increasing awareness bias amongst the participants who may over-report symptoms. Concern also exists that participation bias may be a factor, i.e., certain people may (or may not) participate due to individual motivation or objectives. Participation bias could influence results of the study. In the absence of very high response rates, the people participating would be considered self-selecting. With an anticipated response rate of 70-75%, however, the impact of self-selection bias should be sufficiently mitigated. Selection bias in this study will be reduced to the extent possible by the fact that Statistics Canada will target all dwellings within the highest WTS exposure categories and employ random sampling methods for the dwellings at the more distant sound exposure categories. Furthermore, in all cases, the one subject per home that participates in the study will be randomly selected. Participation rates may decrease for measured endpoints, especially for hair cortisol. Statistical analyses can assess any systematic differences that may exist in subjects that participate fully, partially or not at all. For example, an analysis by distance to the closest turbine can be done to reveal a potential bias in the sample. Still, if response rates are too low, it may preclude the ability to generalize the findings to the targeted population of homes in the study. Possible bias also relates to time of day of visits, e.g. may result in more retirees, persons with disability or stay at home parents. Statistics Canada will attempt to minimize this impact by making home visits at all times of day including weekends and weekdays. If an over-representation of any demographic group is noticed weighted adjustments can be made. Finally, challenges associated with non-response may exist for a variety of reasons. Subjects may have abandoned their dwelling or they may be participating receptors under pressures that preclude them from participating. Health Canada has no way of knowing in advance the extent to which non-response may impact this study, but refusal conversion strategies will be employed by the interviewers and attempts will be made to acquire limited self-reported results from non-responders. The research study to be undertaken by Health Canada will support the Government and other stakeholders by strengthening the evidence base that supports decisions, advice and policies regarding wind turbine development proposals, installations and operations in Canada. The results of the study will be published in the peer-reviewed scientific literature and will contribute to the existing evidence base, but will not provide definite answers on their own. Berglund, B., Lindvall, T., Schwela, D.H. (Editors), Guidelines for community noise, World Health Organization, Geneva, 1999. Bryan, S., Saint-Pierre, M., Campbell, N., Clarke, J., Temblay, M.S. (2010). Resting blood pressure and heart rate measurement in the Canadian Health Measures Survey, Cycle 1. Component of Statistics Canada Catalogue no. 82-003-X, Health Reports. Buysee, D.J., Reynolds, C.F.3rd, Monk, T.H., Berman, S.R., Kupfer, D.J. (1989). The Pittsburgh Sleep Quality Index: A new instrument for psychiatric practice and research. Psychiatry Research, 28(2),193-213. Canadian Wind Energy Association (2005). Wind Vision 2025. Cohen, S., Kamarck, T, Mermelstein, R. (1983). A global measure of perceived stress. Journal of Health and Social Behavior, 24, 386-396. Cohen, S. & Williamson,G. (1988). Perceived stress in a probability sample of the United States. In S. Spacapan and S. Oskamp (Eds), The social psychology of health, Newbury Park, CA: Sage. Dettenborn, L., Tietze, A., Bruckner, F., Kirschbaum, C., (2010). Higher cortisol content in hair among long-term unemployed individuals compared to controls. Psychoneuroendocrinology, 35, 1404–1409. DEFRA, Department of the Environment, Northern Ireland Scottish Executive National Assembly for Wales. Fidell, S., Pearsons, K., Tabachnick, B. G., Howe, R., Silvati, L. (1995). Field study of noise-induced sleep disturbance, J. Acoust. Soc. Am. 98, 1025-1033. Government of Australia, National Health and Medical Research Council (NHMRC), (2010) Wind Turbines and Health: A Rapid Review of the Evidence, pp 1-11. Harry, A. (2007). Wind Turbines, Noise and Health. Hoffmeyer, D. and Sondergaard, B. (2008). Low frequency noise from large wind turbines, measurements of sound insulation of facades, DELTA, EFP-06, AV1097/08. Horne, J., Pankhurst, F., Reyner, L., Hume, K., and Diamond, I. (1994). A field study of sleep disturbance: Effects of aircraft noise and other factors on 5,742 nights of actimetrically monitored sleep in a large subject sample, Sleep 17, 146-159. IEC 61400-11 (2002). Wind turbine generator systems – Part 11: Acoustic noise measurement techniques. Jakobsen, J., Infrasound Emission from Wind Turbines (2005) Journal of Low Frequency Noise, Vibration and Active Control, Vol 24 (3), 145-155. Knopper, L., and Ollson, C. (2011). Health effects and wind turbines: A review of the literature, Environmental Health, 10, 78-88. Krogh K., Gillis, L., Kouwen, N., and Aramini, J. (2011). Wind Voice, a Self-Reporting Survey: Adverse Health Effects, Industrial Wind Turbines and the Need for Vigilance Monitoring, Bulletin of Science, Technology and Society, 31, 334-345. Leventhall (2004) Low frequency noise and annoyance. Noise & Health, 6: 59-72. Leventhall, 2006; Jakobsen J. Infrasound Emission from Wind Turbines. J Low Freq Noise Vib Active Contr. 2005;24(3):145-155 (2005). Ljud från vindkraftverk, NATURVÅRDSVERKET, Dec 2001 Rapport 6241. Moffat S, Mulloli TP, Bhopal R, Foy C, Phillimore P. An exploration of awareness bias in two environmental epidemiology studies. Epidemiology 2000; 11(6), 199-208. Møller, H . and Pedersen, S. (2011). Low Frequency Noise from Large Wind Turbines, J. Acoust. Soc. Am., 129, 3727-3744. Natale V., Plazzi, G., Martoni, M. (2009). Actigraphy in the assessment of insomnia : A quantitative approach. Sleep, 3 2, 767-71. National Research Council, Committee on Environmental Impacts of Wind-Energy Projects. Environmental impacts of wind-energy projects. Washington, DC: National Academies Press; (2007). National Sleep Foundation. Summary of Findings. (2005). Sleep in America poll, methodology. Accessed 11 Dec 2012. Ollerhead, J. B., Jones, C. J., Cadoux, R. E., Woodley, A., Atkinson, B. J., Horne, J. A., Pankhurst, F., Reyner, L., Hume, K. I., Van, F., Watson, Al, Diamond, I. D., Egger, P., Holmes, D., and McKean, J. (1992). Report of a field study of aircraft noise and sleep disturbance, Department of Safety, Environment and Engineering, Civil Aviation Authority, London. Passchier-Vermeer, W., Vos, H., Steenbekkers, J., van der Ploeg, F., and Groothuis-Oudshoorn, K. (2002). “Sleep disturbance and aircraft noise exposure: Exposure-effect relationships,” TNO Inro Report No. 2002.027, 1-245. Pedersen, E. and Waye, K. P. (2004). Perception and Annoyance Due To Wind Turbine Noise, A Dose-Response Relationship, J. Acoust. Soc. Am., 116, 3460-3470. Pedersen, E. and Waye, K.P. (2007). Wind Turbine Noise, Annoyance and Self-Reported Health and Well-being in Different Living Environments, Health Occup. Environ. Med., 64, 480-486. Pedersen, E. and Larsman, P. (2008). The impact of visual factors on noise annoyance among people living in the vicinity of wind turbines. J. Environ. Psychol. 28, 379-389. Pedersen, E., Van den Berg, F., Bakker, R., and Bouma, J. (2009). Response to Noise from Modern Wind Farms in the Netherlands, J. Acoust. Soc. Am., 126, 634-643. Pedersen, E. (2011). Health aspects associated with wind turbine noise-Results from three field studies, Noise Control Engineering, 59: 47-53. Peirpont, N. (2009). Wind Turbine Syndrome: A Report on a Natural Experiment, K-Selected Books, Santa Fe, NM. Riemann, D., Spiegelhalder, K., Espie, C., Pollmacher, T., Leger, D., Bassetti, C., van Someren, E. (2011) Chronic insomnia: clinical and research challenges — an agenda, Pharmacopsychiatry 44 (1), 1-14. Sadeh, A. (2011). Clinical Review: The role and validity of actigraphy in sleep medicine: An update. Sleep Medicine Reviews, 15, 259-267. Sanchez-Ortuno, M.M, Edinger, J.D., Means, M.K., Almirall, D. (2010). Home is where sleep is: An ecological approach to test the validity of actigraphy for the assessment of insomnia. J of Clinical Sleep Medicine, 6, 21-9. Sharp, B.H. and Martin, S. The measurement of aircraft noise reduction in residences, Proceedings of Inter-Noise, Liverpool, 1996, pp. 2747-2752. Shepherd, K.P. and Hubbard, H.H. (1991). Physical characteristics and perception of low frequency noise from wind turbines, Noise Control Engineering J., 36(1), 5-15. Shepherd, D., McBride, D., Welch, D., Dirks, K.N., and Hill, E.M. (2011). Evaluating the impact of wind turbine noise on health-related quality of life. Noise & Health, 13, 54, 333-339. Shields, M., Gorber, S.C., Janssen, I., Tremblay, M.S. (2011) Bias in self-reported estimates of obesity in Canadian health surveys: An update on correction equations for adults. Statistics Canada Catalogue no. 82-003-XPE, Health Reports, Vol 22, no 3. Skevington, SM et al. (2004). The World Health Organization Quality of Life WHOQOL-BREF’s assessment: Psychometric properties and results of the international field trial- A Report from the WHOQOL Group, Quality of Life Research, 13: 299-310. Smith-Sivertsen,T., Tchachtchine, V., Lund, E. (2000) Self-reported airway symptoms in a population exposed to heavy industrial pollution: What is the role of public awareness? Epidemiology, 11(2):199-208. Thorpy, M., Chesson, A., Derderian, S., Kader, G., Millman, R., Potolicchio, S., Rosen, G., Strollo, P.(1995). Practise parameters for the use of actigraphy in the clinical assessment of sleep disorders, Sleep, 18, 285-289. Tjepkema, M. (2005). Insomnia.Vol.17(1), 9-25. Statistics Canada, Catalogue no. 82-003 Health Reports. Van Someren, EJW.(2007). Improving actigraphic sleep estimates in insomnia and dementia: how many nights? J Sleep Research, 16, 269-275.
van Umm et al., Elevated content of cortisol in hair of patients with severe chronic pain: A novel biomarker for stress. (2008) Stress, 11, 483-488. World Health Organization (1999). Guidelines for Community Noise, Berglund, Lindvall and Schwela (eds), Geneva. World Health Organization (2009). Night Noise Guidelines for Europe, Hurtley, C (ed). An important distinction is made between the physical characterization of acoustical energy as “sound” and the subjective evaluation of sound as “noise” when it is subjectively evaluated as unwanted. This is not intended to be an exhaustive list of references nor an indication that Health Canada supports any of the conclusions in these publications. A thorough review of all literature in this area is planned to coincide with the completion of this study. Proposal to Mitigate the Environmental Impact of the increase in Livestock Numbers resulting from Food Harvest 2020 by the Co-Digestion of Slurry with Food Waste. If the increase in dairy production of 50% called for in Food Harvest 2020 is to have no net environmental impact the rollout of at least 1,000 rural Anaerobic Digesters is necessary to treat the extra slurry and other farm wastes generated to mitigate the greenhouse gas emissions and polluting run-off to waterbodies. In order for such farm- based digesters to be economically viable at current levels of government support it is necessary that they receive gate fees to co-digest food waste. Co-digestion of farm waste with food waste increases the energy content of the process and captures nutrients in the resulting digestate which reduces the need for artificial fertilisers. Developing large centralized scale Anaerobic Digesters (ADs) solely for food waste provides none of these environmental benefits. Without this integrated approach the impact of Harvest 2020 will be extremely damaging for the environment. There are two alternative methods that could help fund farm based ADs to close the nutrient cycle and mitigate the environmental impacts of increased animal numbers that does not place a burden on the exchequer: A Quota system imposed on waste collectors through their Waste Collection Permit obliging them to divert a minimum amount of waste to rural ADs which co-digest with farm waste; or an Environmental Levy imposed on waste disposal and biowaste treatment technologies other than co-digestion with slurry. The levy would be collected by the waste facilities other than ADs co-digesting with slurry. The revenue could be used by Local Authorities to further mitigate the environmental impact of Harvest 2020.